Ms. Vian Dakhil is one of only two Yazidi members in the Iraqi parliament and a member of the Kurdistan Democratic Party. Dakhil has gained international recognition for her plea for assistance for the Yazidi people under siege by ISIS. Her speech on the floor of the Iraqi Parliament in 2014 alerted the world to the ISIS siege on Mount Sinjar. Her advocacy was crucial to garner international awareness and humanitarian aid and military support that eventually led to the recapturing of Mount Sinjar. Dakhil has made protecting the rights of the targeted Yazidi community her priority. In particular, she has worked extensively with Yazidi women who have survived captivity as well as sexual and physical assault by ISIS fighters. Born in 1971 to an upper class family in Mosul, Iraq, Vian Dakhil is the oldest of nine siblings, six of whom are doctors. She herself has an MS degree with first-class honors in Biology, and a BS in Microbiology from Salahuddin University in Erbil. She first worked as a research assistant and assistant lecturer at the Colleges of Science and Education of the University of Salahuddin, later moving up to the position of lecturer at the College of Pharmacy at Hawler Medical University. Her move into politics came as a result of some of her Yazidi students being targeted in the wake of civil terror that has swept Iraq over the last decade. Dakhil felt it her duty to put an end to the terror against her own. Currently a member of the Iraqi parliament for the second time, she has also established the Mercy Charity Organization. 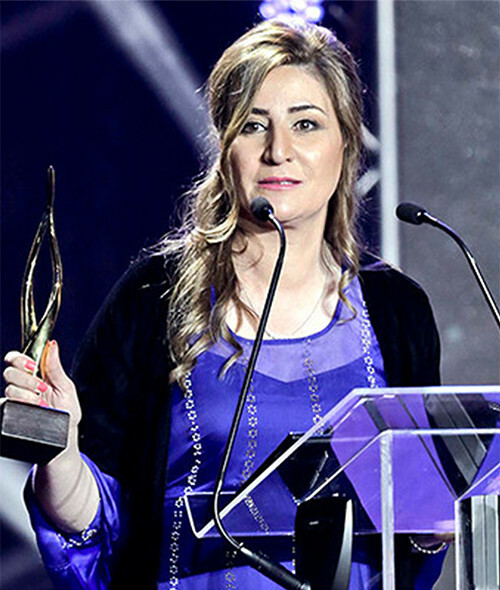 For her efforts to help the Yazidi minority, Dakhil has been awarded by countless civil organizations in Iraq, including the Iraqi Women Network and the Iraqi Parliament. In 2014 she received the Anna Politkovskaya Award and was named Woman of the Year 2014 by CNN. In 2015, she was awarded the Bruno Kreisky Human Rights Award.